Not many institutional investors question an issuer’s approach to cybersecurity, but maybe they should. Those findings come from a new study by two professors of Warwick Business School. Companies that have been victims of a cyber attack tend to reduce the resources dedicated to R&D, dividend payments, or “investments generally” in the subsequent five years, the paper found, as they seek to manage the financial risks caused by data breaches. This occurs even though operating performance generally recovers. In addition, the effect on share prices on average lasts only three days. The study also found that, somewhat surprisingly, chief executive officers weather the storm of a publicly disclosed cyber attack well: their total compensation is likely to increase in the years after a breach. “Firms that suffer a data breach do not typically respond by firing the management, but by investing more in the existing CEO,” said Bianchi. They focused solely on breaches reported by the media, including stolen hardware, insider attacks, poor security, and hacking. 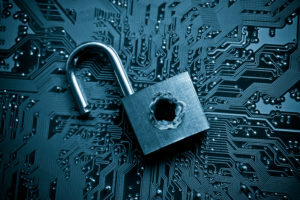 The incidents occurred at large companies, with an average size of $35.4 million, consistent with existing evidence that hackers are more likely to choose high-profile targets.